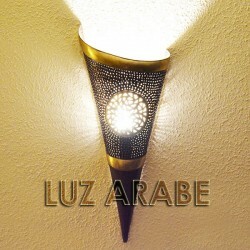 Andalusian wall sconce with arches and bars of pierced iron and colorful crystal (blue, mustard, red and green). 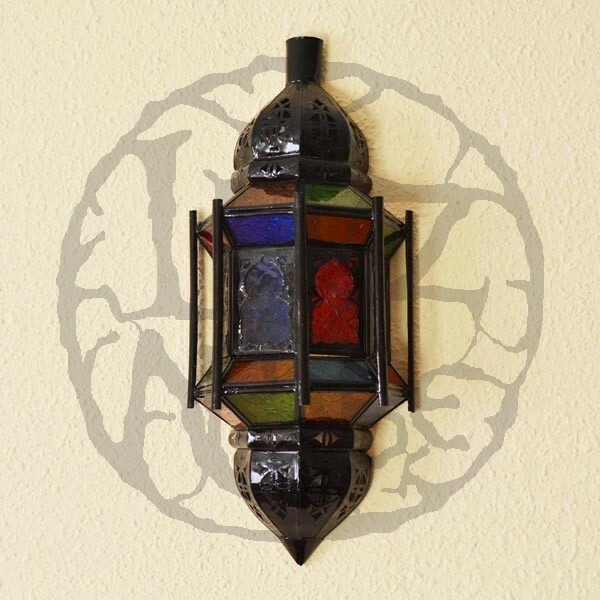 Wall sconce with arches and bars of arabic-style made of pierced iron, and glass of various colors (blue, mustard, red and green). 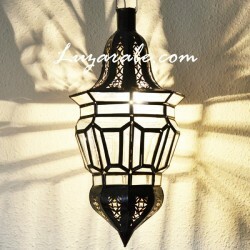 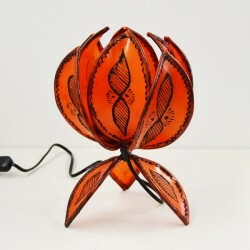 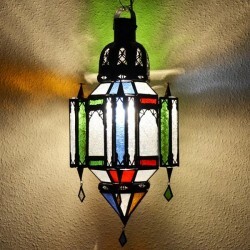 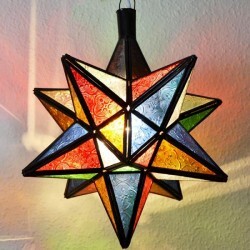 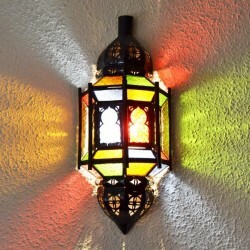 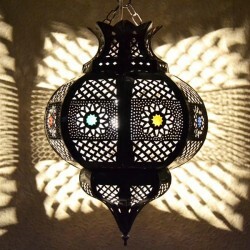 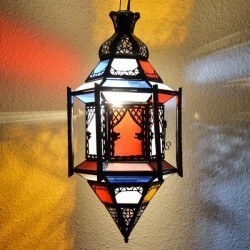 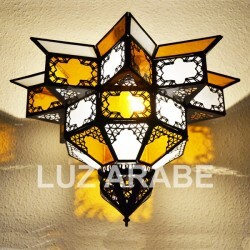 Light is a very important element in the decoration of the arabic world. 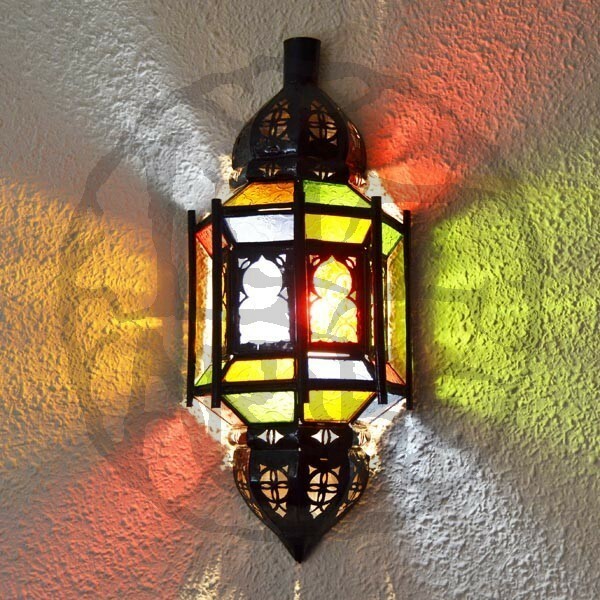 This Andalusian wall sconce with arches and bars of pierced iron and colorful crystal will introduce a set of colored light reflections of indirect side creating a romantic and very relaxing atmospher.